An international franchise beauty pageant Miss Super Model International Nepal: 2019 calls for an application of Nepali contestants. 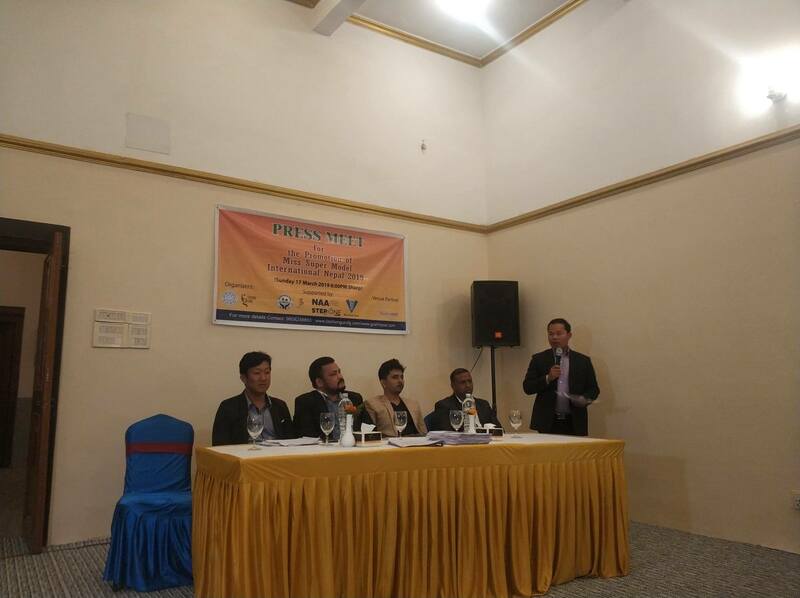 Addressing to the press meet, Rajan Shrestha, chairman of global citizen entertainment foundation stated that Miss Super Model International Nepal is not a traditional show which aiming to promote fashion linked trade activity in Kathmandu in promoting the Nepal tourism year 2020. “The 50 percent of the profit generated from this event will be donated to Procia Foundation, a non-profit organization works for children,” Shrestha said. Likewise, Yogi Aryan, Founder & chairman of Fashion Guru informed that the event will strengthen the decades-long friendship of India and Nepal. “We’re hosting the franchise beauty pageant first time in Nepal. Apart from Nepal, we’re also organizing the event in other 20 different countries,” Aryan Said. “In each country, we’ll select top 3 finalists that will get chance to compete in Miss Super Model finale in Delhi, India. The top two contestants of the finale will get chance to debut in Bollywood and global fashion tour,” Aryan added.